Due to the increasing threat to Fort Negley Park following the relocation of the Nashville Sounds to a new stadium, the park was included in Historic Nashville’s 2016 Nashville Nine. 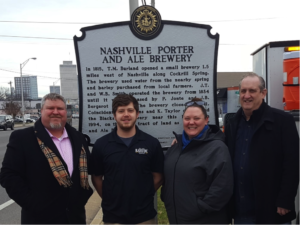 The property is an important part of Nashville’s history and serves as much needed green space in the Southern sector of the city’s urban core. 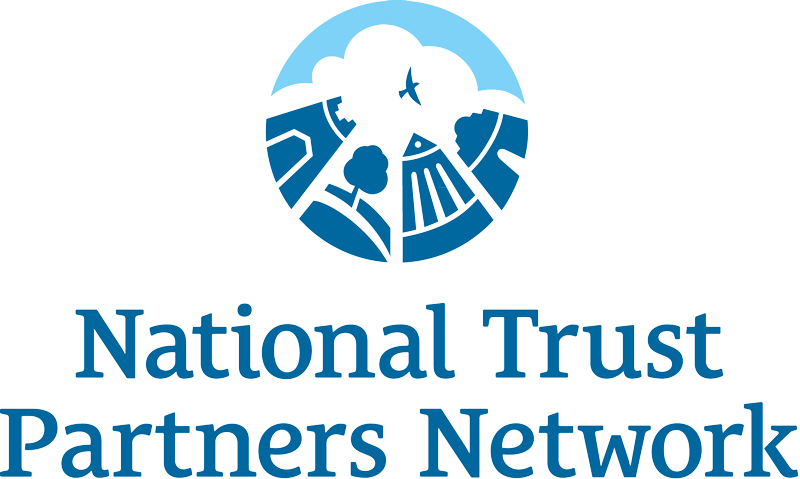 For a comprehensive overview of the historical significance of the park, we recommend that you read “Threat to Nashville’s Historic Fort Negley Park” on the Cultural Landscape Foundation website, found here. In January 2017 the Nashville Mayor’s office released an RFQ for the commercial redevelopment of the 18 acre Greer Stadium property, which is a part of Fort Negley Park. This RFQ, covering a 21-acre site, would result in 3 acres of parkland being confiscated and requests proposals including residential, rental, and commercial space. 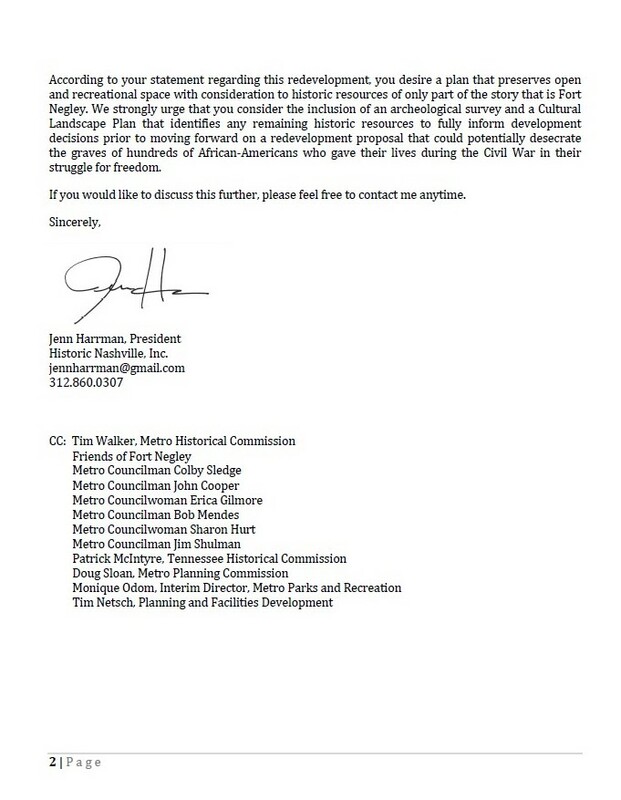 Historic Nashville recently addressed Nashville’s Mayor Megan Barry directly in order to express the concerns of our organization, many of Nashville’s residents and historians, and advocacy groups nationwide with regards to the planned development of the Greer Stadium parcel of the Fort Negley property. That letter is below. 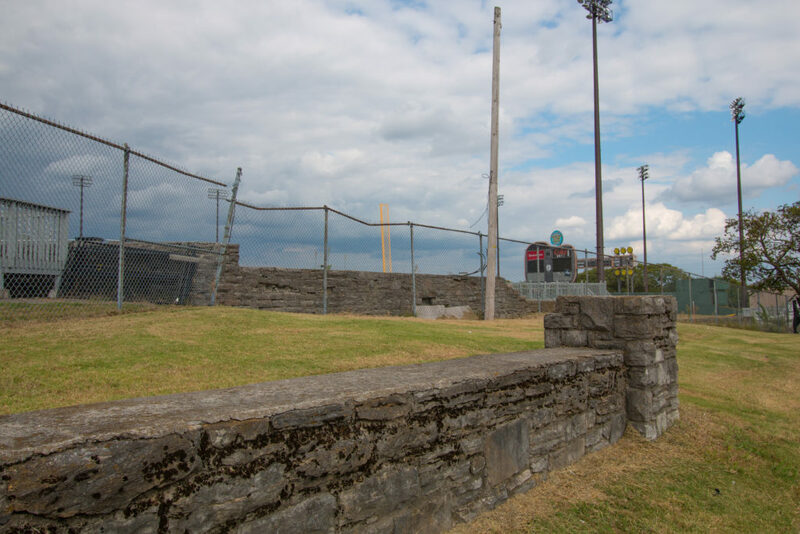 For more on the concerns of Fort Negley advocates, local political representatives, and national advocacy groups, visit The Tennessean website to view “Greer Stadium redevelopment faces pushback as closed-door selection process nears end” here. 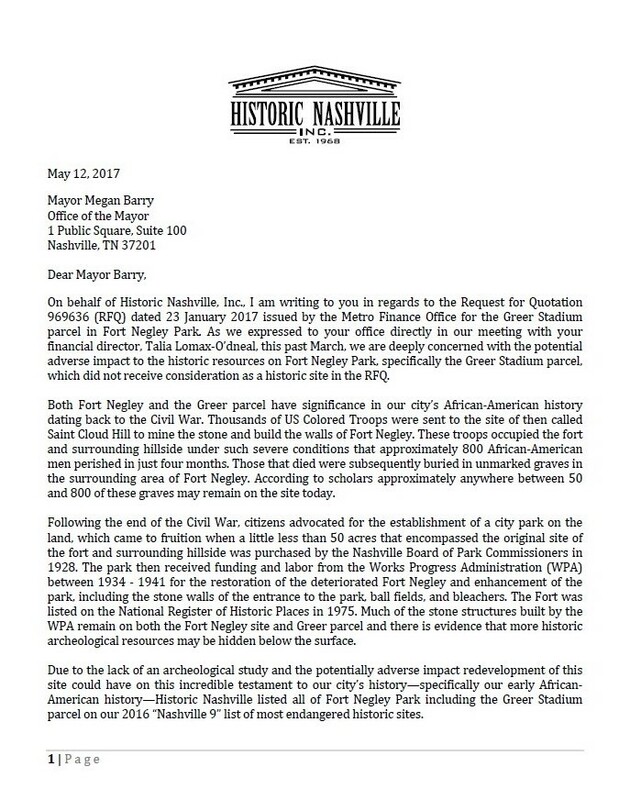 Stay tuned to Historic Nashville’s blog or Facebook Page for updates as the Fort Negley story unfolds.